It’s here! The second batch of our manual, printed, bound and cut. More beautiful than ever. 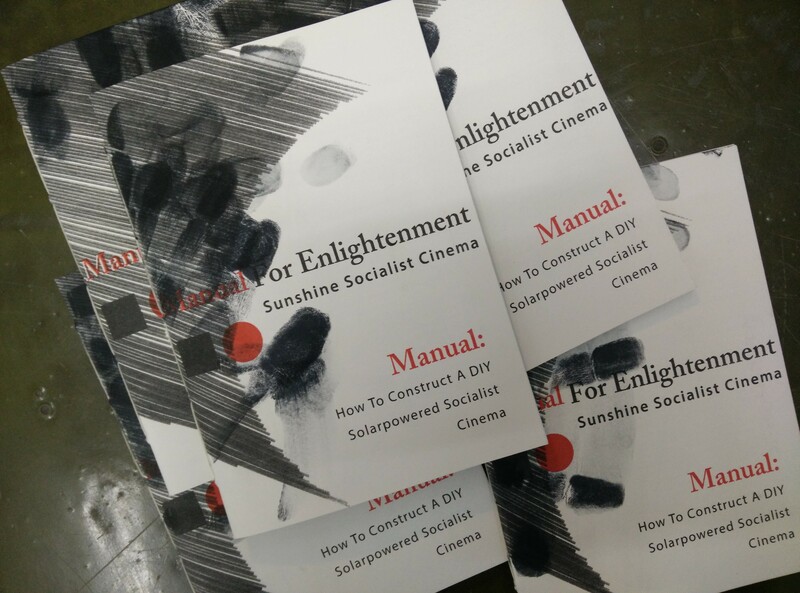 All we can tell you about how to start up an outdoors solarpowered socialist cinema, condensed into 40 pages. Printed in soy based ink on a Riso. We’re giving it away for free at our screenings, to people who are genuinely interested. You can also find reading copies in various sites, in various towns. If you work at a library, community centre, anarchist bookstore, film school etc. and want a reading copy for your shelf, drop us a note.